So send me few $$ I will use toward the hosting of the blog. Thanks! Via Paypal. In the summer of 2009, Nicolas Rapp decided to take a break from his Art Director job at The Associated Press to attempt a one-year overland travel around the world in a 1996 Toyota Land Cruiser. 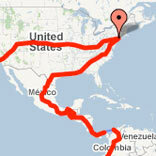 He was back in New York in February 2011 after traveling 15 months and 37,000 miles. While in Bangkok, I start the maddening work of finding a vessel sailing to Los Angeles, U.S.A. so I can load my truck as soon as possible. One good thing is that there is a lot of traffic between the two points which results in a price war between shipping companies. 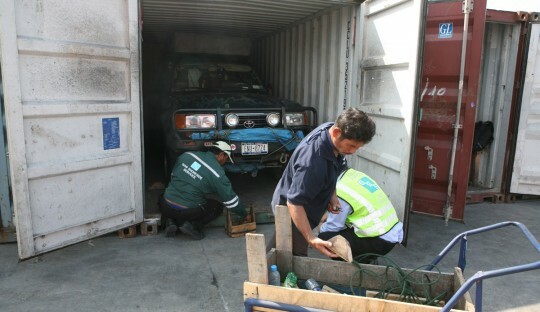 Lashing the truck in a container for the last time. I don't think I will miss that. After going back and forth between two competitors, I select China Shipping as they lower their price to US$2,200 including all fees at the departing port. And it is going very fast. Two days after I find myself again in a container. Everything at the port is easy and well organized. As in Malaysia it is very straight forward to go through the procedures and I just spend two hours there. Because the container is going to the U.S., there are few more formalities than usual. Once the doors are closed, the truck is fumigated with bromide and the container later goes through X-Ray. Contact information for shipping is provided at the end of this post. In the meantime, I try to arrange my visa for China. 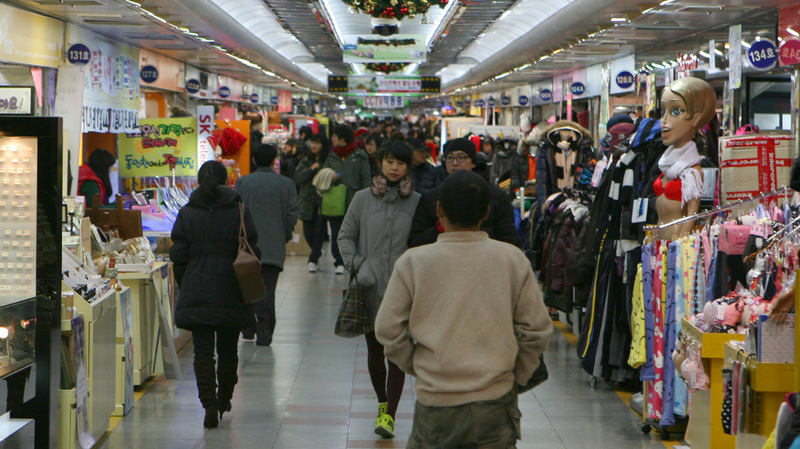 The original plan was to take the 25-hours train from Hong-Kong to Beijing, and later a ferry to Incheon, South Korea. Unfortunately, as often, that doesn’t go according to plan. Following a dispute between France and China regarding a decision from Paris to give the Dalai Lama honorary citizenship, the Chinese officials retaliated in making visa availability more difficult for my compatriots. Basically, embassies overseas now want travelers to present a return ticket, hotel reservations, detailed itinerary and an invitation letter. In addition, the expedited service had been suspended, making the process last more than a week. 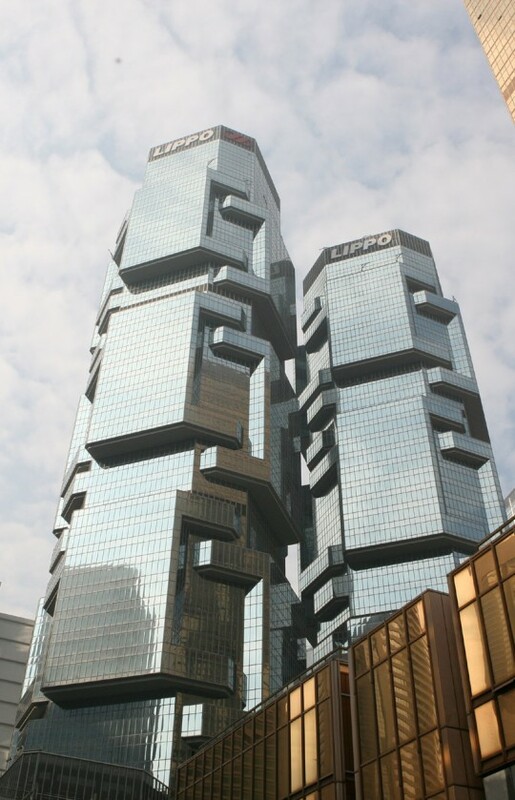 Lippo Centre, a strange building in Hong Kong. Having arranged everything else and being on a tight schedule, I have no other choice but to skip the un-inviting country. Few days earlier, shortly after arriving in Bangkok, I moved in the apartment of Sin and Aline, friends of my acquaintance Jeff, a newspaper mogul in New York. It’s fantastic to be able to use their place as headquarter to prepare the next few steps which involve a lot of work online. 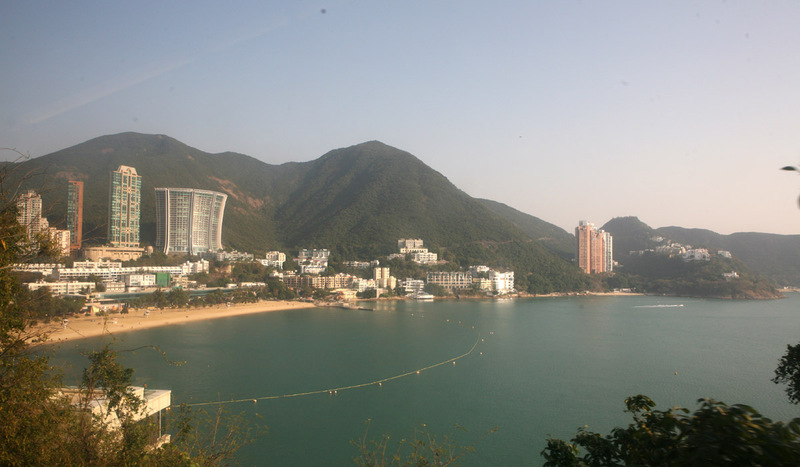 First I book a ticket to Hong Kong, and then I try to find an inexpensive hotel in the city. But I hit another bump here. Who would have thing that one of the world financial centers is also a popular destination for Christmas? It turns out to be very complicated to find a place there that fits my budget. Fortunately few emails later, Kat who traveled with me few weeks ago, arranges for me to stay with her friend and ex-coworker MinJung. MinJung works for the Wall Street Journal Asia and gracefully will make some space for me in her flat. I also book a flight to South Korea. 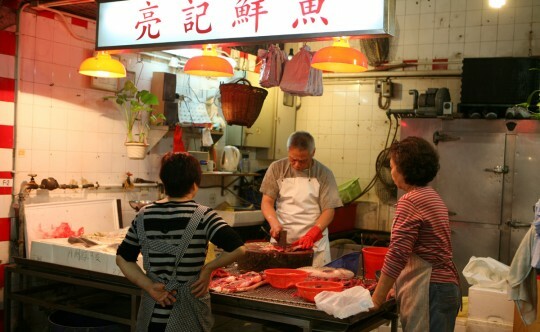 Hong Kong butcher. By now you know my favorite places are markets. Evenings in Bangkok are nice, and dinners always a treat. Sin and Aline live in Bangkok for a long time and they know the places to go to get some amazing street food. I am sad to leave that behind and I try to take advantage of it as I am here and in good company. Transportation is effortless in the capital, and on one given trip it is not uncommon to use a boat, the subway, and hop behind a motorcycle driver for the rest of the trip. 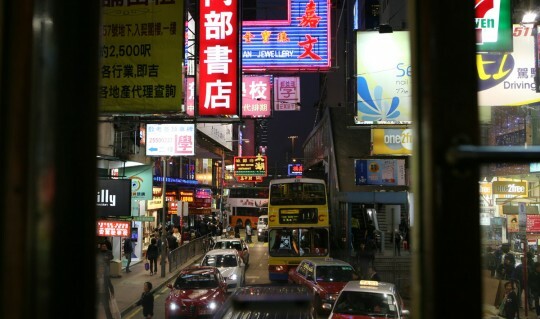 Everything is very cheap too, and the city seems to be a great place to live in. Finally, it is time to get to the airport and fly to Hong Kong (US$ 161). Taking the boat across the harbor. There, and as expected, I meet with MinJung who welcomes me in the city. I am here for such a short time – two days – and I am up early in the morning so I can explore most of the metropolis in a hurry. 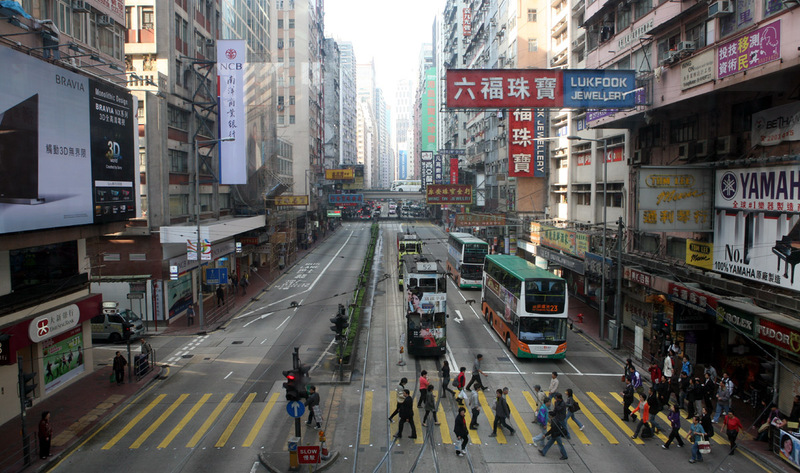 Downtown Hong Kong has an unexpected effect on me. Nowhere did a city remind be more strongly of New York. As I walk the streets and watch people going to work, I realize it will be soon my turn to be one of them. I am not sure how easy it will be to re-adapt. Spending most of my time at work and watching weeks and months going by at lightening speed is somewhat daunting. Soon I will have hot water every day, broadband internet and a cell phone. Maybe I will go for drinks on Friday nights and overhear people debating loudly if they need the newest iPhone this week-end or if it can wait for next week. How will I feel when I will not be on the move anymore? Without the constant pressure, the fights at the ports, the intricate work of getting visas, weeks spent by myself, weeks when I meet many people soon to be friends and the early coffees on mountaintops, will I be able to be happy? Living in a small apartment in a densely populated city will not be easy especially after treating the whole world as my living room. I feel that the one key for my happiness will be to find a very challenging – and exciting – job. I hope it will also allow me daily to use my problem-solving skills, something I have the weakness to think I am good at. Some action and travel would be good too. Another face of Hong Kong. Anyway, one thing is sure: despite the multiple questions on this topic I got from my readers, only now I realize I am on my way home. All these months on the road have been so busy and intense that I feel I have been away for years. But readers shall see on this website how well I will readapt once back home. From the tramway, going back home. There are several reasons why Hong Kong reminds me of New York. The city is made up of older and sometimes decrepit buildings along with very modern ones. As in New York, you can feel that the sea is never far. Temperatures are colder too, and I didn’t feel that since Peru. A light jacket is now welcome as I go around surrounded with many people running everywhere. 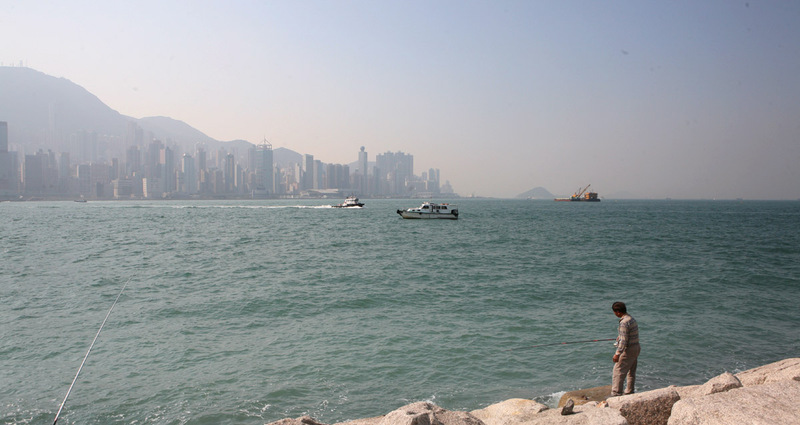 I walk a lot and go across the island to see less dense areas. Earlier, I took the boat to cross the harbor and have a view of the skyline. Incheon, third largest city of South Korea. But there’s not much time and soon I am back at the airport getting my luggage back from a locker. The next stop is Incheon, South Korea where I arrive in the evening after a quick flight (US$ 300). 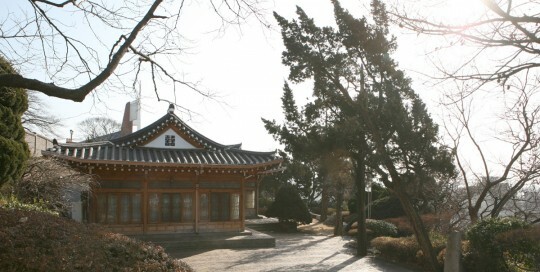 The building used to be Incheon's mayor house. When I arrive there, it is ice cold out. I use to dream about such weather when I was in the deserts of Ethiopia or Djibouti, but when the realty takes the appearance of a freezing wind slapping my face, it doesn’t seem like a dream anymore. South Korea hasn’t seen such temperatures in the last 30 years, and this is the time I chose to visit. At night, the mercury drops as far as -26 C (-15 Fahrenheit), and I can just run to the first hotel I see before falling dead. 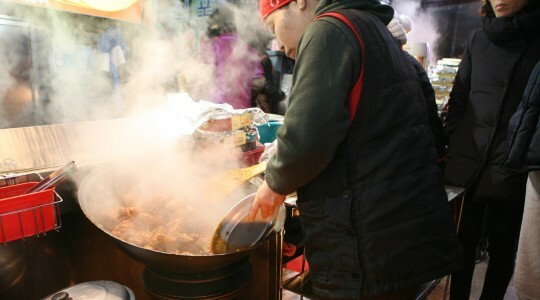 Street food. The place looks quite popular. I wake up in this motel on Christmas day, and despite the biting cold I go out to visit the city. 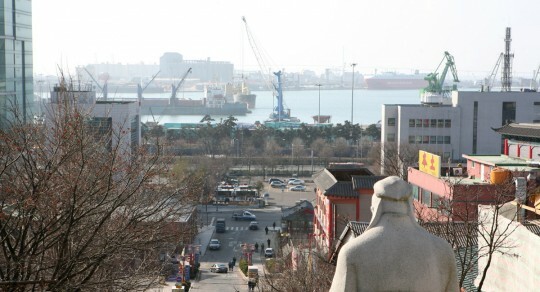 Incheon is the largest port on the east coast of a country that can be compared to an island. North and South Korea are still technically at war since never signed a peace treaty after the Korean War, and nothing crosses the border. So you can only fly or take a boat to get in the southern peninsula. Underground shopping alley. As in Canada, a must in countries where winter is bitter cold. 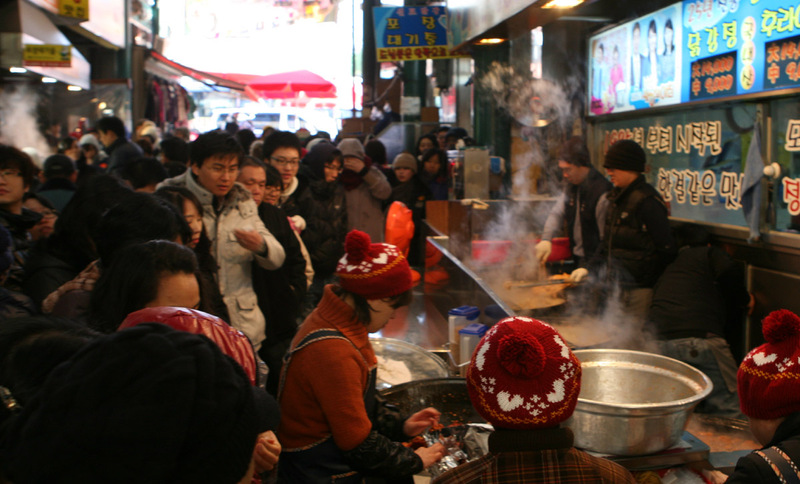 Chinatown is probably the most atmospheric area to visit, but I also see a few markets and large underground shopping arcades. As always, I am excited about trying the food, as I was a big fan of Koreatown in New York. I am not disappointed by the dumplings I get in the small restaurant where I take refuge from the cold. Few hours later I am in the subway to Seoul. So far I have been very happy with the services of Transpeed. Just remember to always shop around and get quotes from several companies before finalizing the deal. I wanted to work with them because they are used to ship vehicles. Their price was initially higher than other companies, but they were able to negotiate with their shipping company and bring the price down. Contact Beer at Transpeed Co., Ltd.
3360/6-8 Soi Manorom Rama 4 Rd.